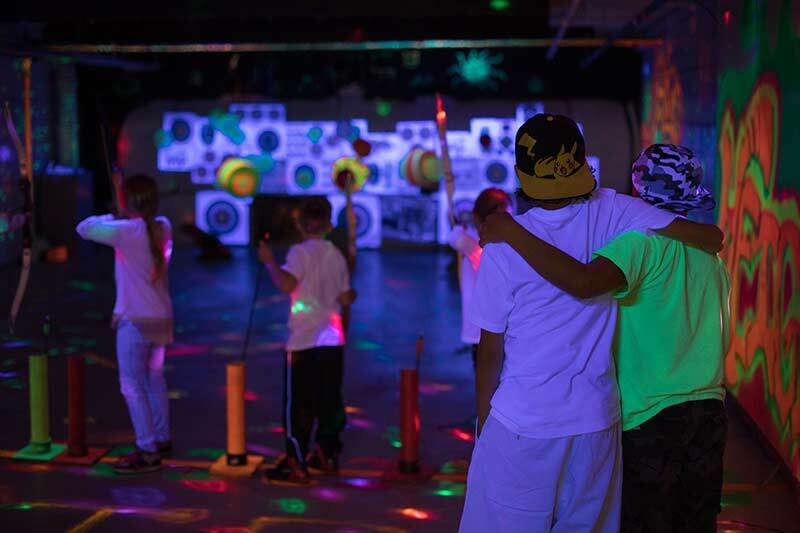 We offer the best birthday parties available anywhere! How often can your guests shoot at stuff and be glowing in the dark. 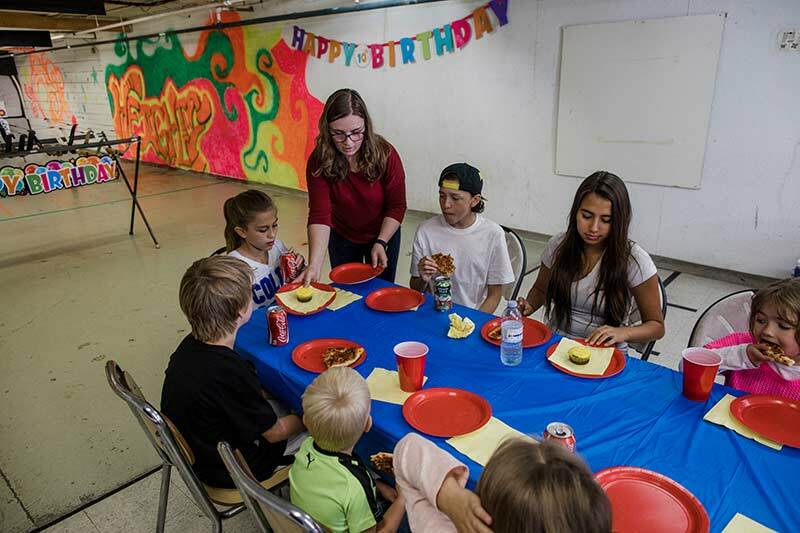 All birthday parties are held in our separate range and are set up with a table and seating area for your guests to enjoy their pizza, cake, and presents. The parties are done in a two-hour time slot, which includes time for your cake, food, and presents. We have allotted time slots for Saturdays and Sundays but also offer times during the week if that suits your needs better. How old can the kids be? We offer birthday parties for children as young as 7 and hold many adult birthdays as well. 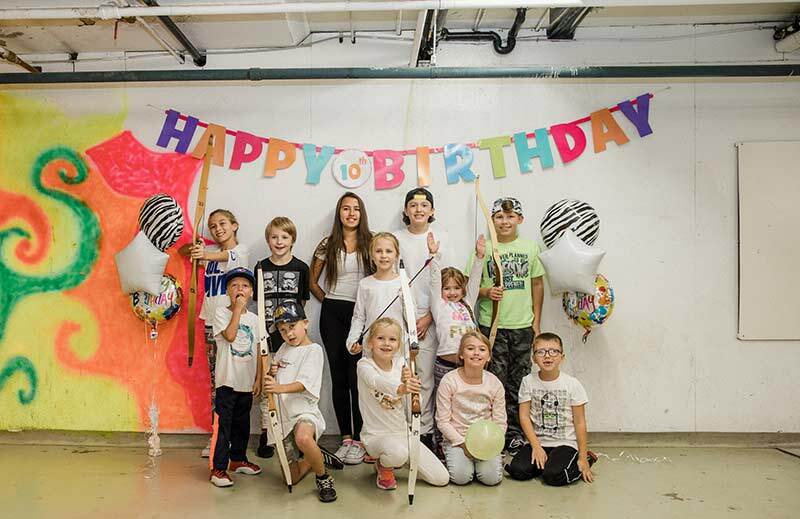 Our birthday archery range has 8 shooting spaces so we offer groups up to a maximum of 16 archers. 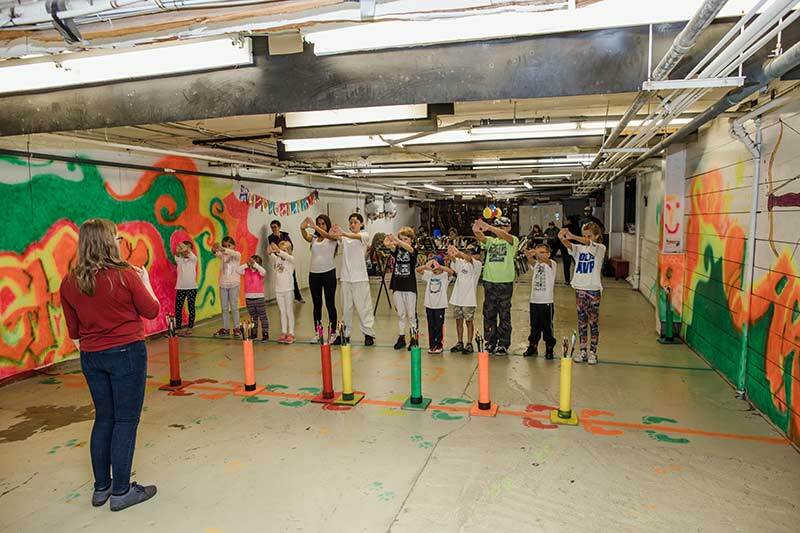 We recommend group sizes between 8-12 and suggest that with younger guests you keep the numbers closer to 8 archers. Can shooting archery be dangerous? Fear not! We will be providing an experienced archery instructor to take care of the shooting for you. Our instructors put your guests safety at top priority while making sure everyone is having fun and getting the full archery experience. Their job is to provide a safe and fun environment for your guests! Who provides the food and cake? The guests provide the food and cake. We have many great pizza places near our store for your convenience and are happy to make recommendations for you. Our guests usually have their pizza delivered a half-hour into the party. For example, if your party is from 12:30-2:30pm, then we would suggest you have your pizza delivered for 1pm. Which days do you offer the birthday parties? We have allotted time slots on Saturdays and Sundays for birthday parties but also offer them in the evening during the week. The cost is $125.00 for the first 8 archers and $5.00 per additional archer after the 8. The cost does not include the 5% GST. Please note, we welcome other parents and guests who are not shooting to stay and enjoy the party! To book your birthday party please call (204) 832-4421 or email us at info@heightsoutdoors.com Or if you have any more questions please don’t hesitate to ask! *Please note* If you would NOT like a certain type of target to be included please let us know this when booking the party. If you don't specify there will be a mixture of bullseye targets, games, zombies and animals.